With more than 20 production facilities and 70 Precision Centers for service and demonstrations, and a network of over 100 distribution partners on five continents, we empower our customers to fully control their manufacturing processes, enhancing the quality of products and increasing efficiency in manufacturing plants around the world. Hexagon Metrology is part of Hexagon (Nordic exchange: HEXA B; www.hexagon.com). Hexagon is a leading global provider of design, measurement and visualization technologies that enable customers to design, measure and position objects, and process and present data. At Hexagon Metrology, we are committed to enabling our customers to fully control their processes, enhancing the quality of products and increasing efficiency in their plants around the world. We empower you to stay one step ahead of a changing world with our breadth of product offerings, our nearly 200 years of expertise and our wide geographic coverage. 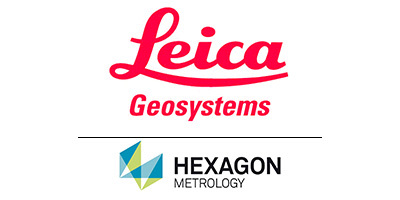 Hexagon Metrology – where quality comes together. We provide support that extends far beyond our product offerings. Our local experts in more than 70 Precision Centers are at your service for training, consultations, part programming, contract inspections and system rebuilds. Leverage our global service network to your advantage. Our vast array of sensor technologies provides a completely integrated system for measurement professionals. Built utilizing laser, tactile, optical and white light technologies, our sensors facilitate critical decision making. Trust our selection of precision sensors to meet your needs. We develop and maintain the most popular metrology software in the world, with tens of thousands of licenses in use worldwide. Our software makes it easy for companies to create and share manageable multidimensional data that fosters innovative thinking. Use our wide selection of software to solve tomorrow’s problems today. The synergies we have developed between our software, hardware and services help to create a complete package for you. Instead of using a standard product to fit your needs, we customize a solution based on your unique application. Ask us how we can creatively help solve your most challenging metrology problems. Our professionals are experts in their specific industries and understand your diverse needs. Working collaboratively in multiple industries creates synergies that empower you to shape change. See how we actively work for your success.